When Malala Yousafzai speaks, nations listen. On Wednesday, she spoke about her remarkable experiences with Ellen DeGeneres — about the school she has started in Lebanon, her conversations with President Obama, her family life, and the attack that nearly killed her. Thanks to her brave activism, we know who she is and what she has accomplished: She was the youngest person to win a Nobel Prize, earning the Nobel Peace Prize in 2014; she has written a best-selling book; she has spoken before the United Nations; and she has challenged the way that many cultures think about women's rights. But her remarkable story doesn't end there. 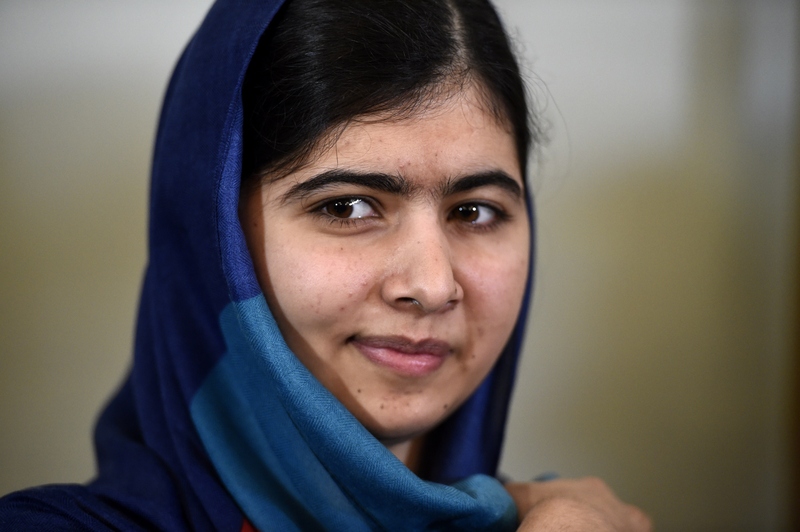 In fact, there are at least five things you probably didn't know about Malala. Yousafzai is clearly passionate and courageous. In talking with DeGeneres on Wednesday, she said, "I strongly believe that nothing can stop me." And it seems true. Living under Taliban rule couldn't stop her. A near-fatal assassination attempt couldn't stop her. In fact, Yousafzai told DeGeneres on Wednesday that the assassination attempt actually made her stronger. She displays these traits — her passion and courage — boldly, so that she can make a real difference in promoting girls' right to education. But beyond these qualities, Yousafzai is still far from a "normal" 18-year-old. In addition to her appearance on Ellen, Yousafzai has made headlines recently because she is getting ready to apply to college — and she wants to go to Stanford. But her bachelor's degree won't be her first diploma. Yousafzai has received honorary degrees from two universities: a Master of Arts from the University of Edinburgh, which was awarded in 2013, and a Doctor of Civil Law from the University of King's College in Halifax, Nova Scotia, which was awarded in 2014. OK, so maybe she is a normal 18-year-old in some ways. Yousafzai wrote in her book, I Am Malala, that she and her friend had been reading Stephanie Meyer's Twilight around the time the Taliban arrived in her hometown in Pakistan. She was 10 years old at the time, and she and her friend "longed to be vampires." Yousafzai's father, Ziauddin Yousafzai, has always supported and encouraged her activism. In fact, he was the original activist of the family. When Malala was young, he didn't make her conform to all of the conservative culture's traditions. In her book, Malala talked about how this angered some of her relatives. "She's my daughter. Look after your own affairs," he would say, according to the book. Yousafzai told DeGeneres that she has been able to move on from her assassination attempt because it ultimately made her stronger. "My weakness, my fear, and my hopelessness died on that day," she said. The outpouring of support that she has received since her recovery has also helped, she said. That's impressive, especially considering the men who allegedly plotted to kill her have not been entirely brought to justice under the legal system. Her fame highlights Pakistan's most negative aspect (rampant militancy); her education campaign echoes Western agendas; and the West's admiration of her is hypocritical because it overlooks the plight of other innocent victims, like the casualties of U.S. drone strikes. It's safe to say that Yousafzai doesn't need a college degree to change the world. Thanks to her relentless activism, she has allies ranging from President Obama to Ellen DeGeneres — and I'd say that's a pretty good place to start adulthood.